Sending money overseas to pay for a second property or monthly bills can be a daunting prospect, but luckily there are experts on hand to help to help with the best way to transfer money to Tenerife. Topping up your Tenerife bank account couldn’t be simpler than using Smart Currency Exchange. As the number of people and families owning a holiday home on the island continues to increase, and poor English weather means that more people are taking longer holidays overseas, it is no wonder then that many British holidaymakers have their own bank account in another country. Unfortunately, sending money abroad can sometimes be quite expensive. Many things factor into this; transfer fees, exchange rates for Tenerife and the time it takes for your money to make the journey from one account to another. It doesn’t have to be this way however, as there are specialists out there whose sole aim is to help you avoid these very hindrances. The first answer many people give is "go to their bank, I’ve been with them years and trust them". While high street banks in the UK can send your money abroad, you can be sure they’ll charge you commission and the exchange rate they give you will be strongly stacked in their favour. There is an alternative though – currency transfer specialists. 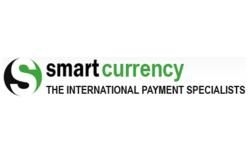 Smart Currency Exchange is an international payment specialist dedicated to helping you get the best rates on your foreign currency exchange. Smart Currency Exchange traders are experts in their field and always on hand to offer advice about buying currency, rates, and the market. Their service is second to none and you will certainly not find their level of service in any high street bank. Making regular payments abroad, whether to pay maintenance bills, mortgage repayments, or simply to save money for when you next visit, Smart has the means to help you save money every time. They have a range of contracts to suit your needs, whether you need to make a one off payment, a payment in the future, or regular payments, Smart can help. Whether you're a Tenerife resident, holidaymaker or 'swallow', find out how much money you could save making regular overseas payments. To get your FREE report today, simply click here. Even if you don´t need to exchange and transfer money for several months, for more details on how to get the most from all your currancy transfer requirements fill in the form below and Smart Currency Exchange will send you their free guide.